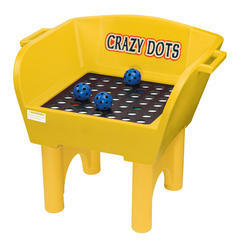 Crazy dots is a great game for prize winning!! There are 4 spots the ball can land on each a different color!! You get three tries. If you hit a color you get that colors designated prize! !